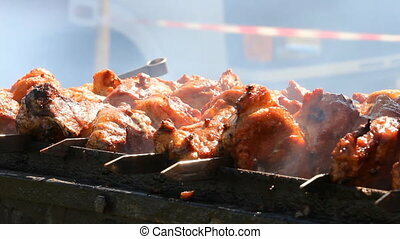 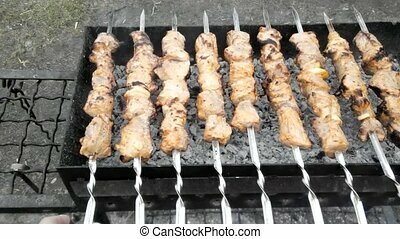 Barbecue or shish kebab is fried on the grill. 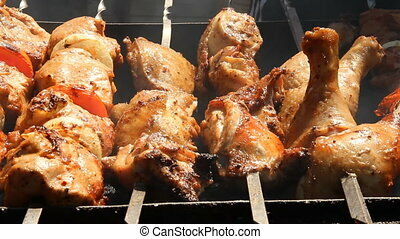 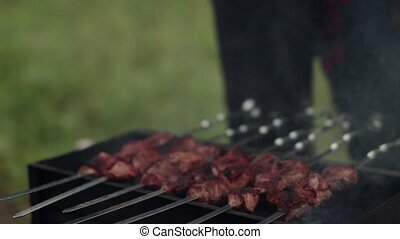 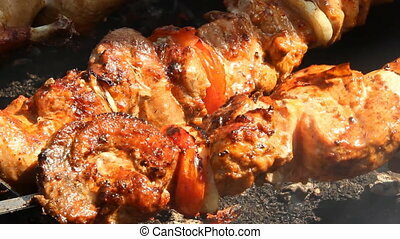 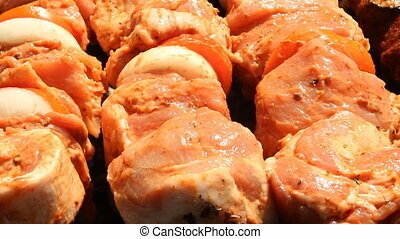 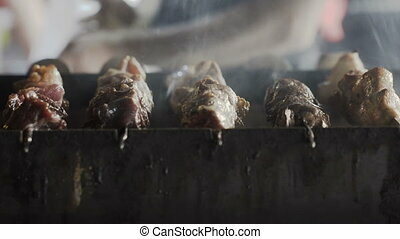 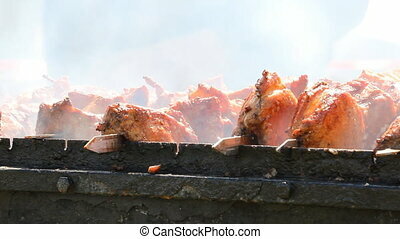 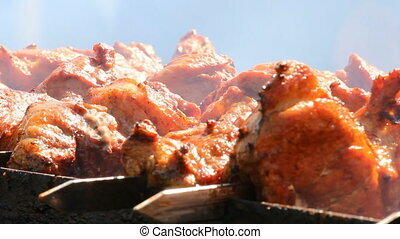 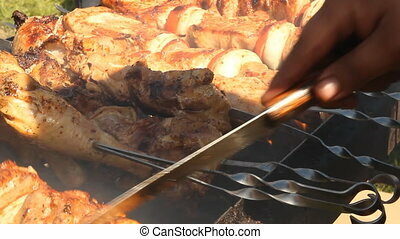 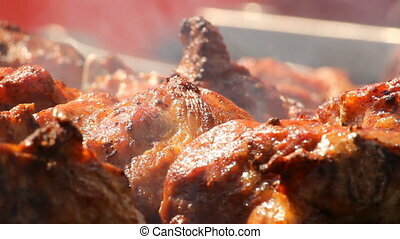 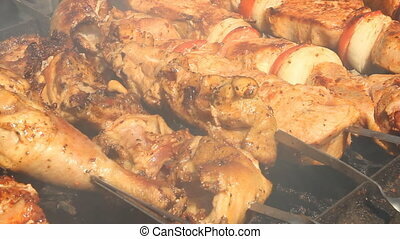 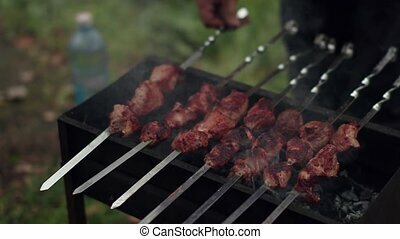 Barbecue or shish kebab is fried on the grill, close-up. 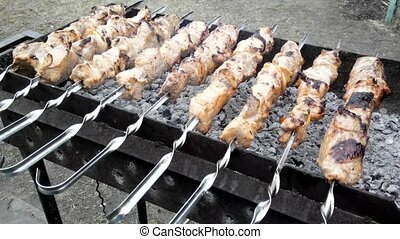 Barbecue Or Shish Kebab Is Fried On The Grill. 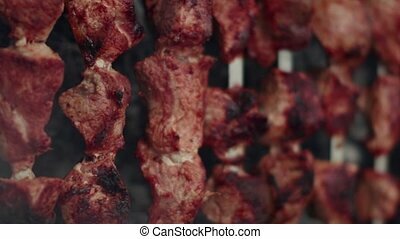 Barbecue or shish kebab is fried on the grill, close-up.